Every time we see a pantsuit that looks as though it was made with magic, we automatically think of David Bowie. Because when all is said and done, everything Bowie touched turned to gold and his supernatural suits were no exception. Luckily, we have the exceptional Kesha to follow in Starman’s footsteps. In her red suit emblazoned with vibrant sea creatures, floating planets, and shimmering stars, Kesha looks otherworldly. The subtle sparkles placed here and there all over the suit’s fabric add a nice touch of stardust. 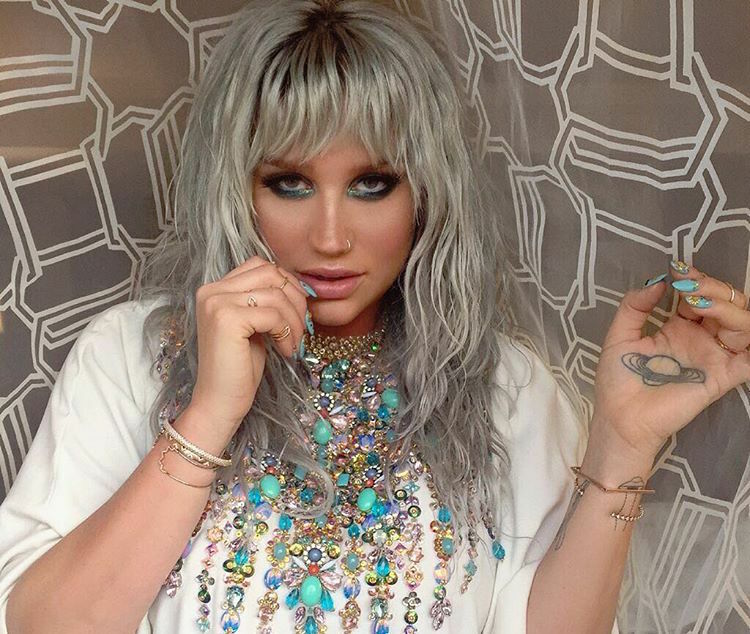 And just think – we can’t even see the back of Kesha’s outfit! (But we imagine that it only adds to the ethereal vibes she’s giving off). 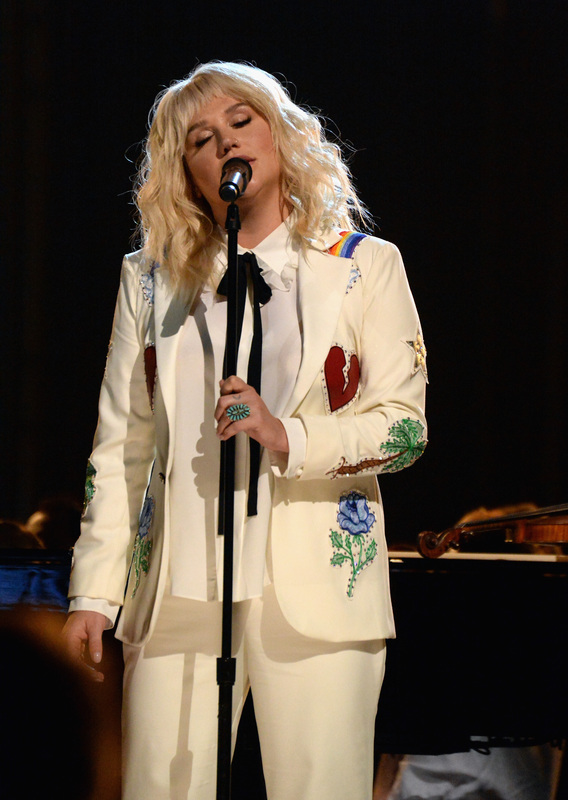 Thanks to Kesha, we’ll hopefully never have to go without a beautiful Bowie fashion reminder.